Narratives of Resistance is a multidisciplinary colloquium that brings UC scholars together with public scholars and activists to discuss the prison industrial complex. Oftentimes crime is framed as contagious to specific neighborhoods, regularly defining individuals by a single act, and by proxy, family members or loved ones as “criminals.” In every community, resources and police presence (or lack thereof) coupled with the stigma of criminalization perpetuate intergenerational family violence. The colloquium bridges resistance-based scholarship and community programs that seek to combat the stigma of criminalization. Fueled by racial and class-based profiling, its effects devastate families well beyond the physical walls of prisons and detention centers. Based in Southern California—the capital of incarceration—Narratives of Resistance is supported by UC Irvine’s Initiative to End Family Violence (IEFV) and the University of California Humanities Research Institute (UCHRI). This project seeks to move away from silos—like treating child abuse as separate from adult domestic abuse—to address the systemic issues of the prison industrial complex and build coalitions among academic and local communities. 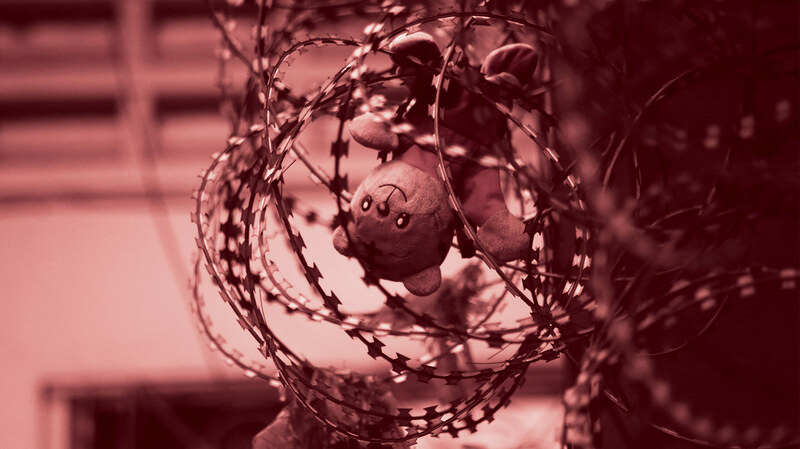 We know that families with loved ones in prison or detention experience a variety of challenges, including the many forms of violence that accompany poverty, the loss of social capital due to the stigma of criminalization, and behavioral issues and a higher likelihood of academic failure among among the children of imprisoned/detained parents/guardians. Whereas these topics are often treated separately, the colloquium brings together the methodological approaches from history, art, theater, and literature to explore how these problems are symptoms of institutional oppression that are intimately connected and. The overlapping thematics of the colloquium focus on place and the stigma of criminalization. While family violence is often attributed to specific individuals, it is critical to acknowledge the history of racial and class-based profiling. The escalated levels of policing and surveillance in specific zip codes, for example, expose families to further trauma and violence, leaving young children especially vulnerable. Both physical and ideological boundaries sever neighborhoods and families, where Blacks, for example, are six times more likely to be jailed or imprisoned than their White counterparts. How does dispelling the myth linked to the stigma of criminalization counter intergenerational trauma among families and communities? How does the insurgent knowledge produced by narratives of resistance disrupt the power structures responsible for perpetuating cycles of family violence? In what ways does implicating prison/detention and the role of the state extend the conversation and accountability of family violence beyond any individual(isolated) household?